At that price I’ll have to give it a try. Pinot Noir is my favorite red. Oregon supposedly has good Pinot and so does Sonoma (I like Carneros and Sonoma Pinot’s). Healdsburg is right in between so I will look out for this one! Another great region for Pinot Noir is Central Coast, Santa Barbara, Santa Maria and Edna Valley. Unwind – you’ve given me some ideas for future blog posts! Oregon Pinots ARE fantastic…. But I think it will be worthwhile to look into posting more about WHY the Oregon climate is so ideal for producing Pinot Noir. 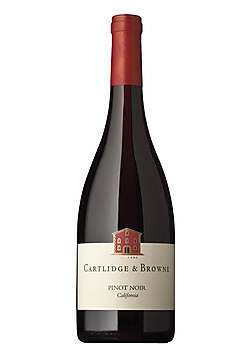 Let me know what you think when you get a bottle of Cartlidge & Browne… and especially looking forward to any recipes you post on your blog that might pair well with it! Delicious wine, delicious recipe. Glad to have my catalog of go to wines (aka W2WK blog) up and running again!